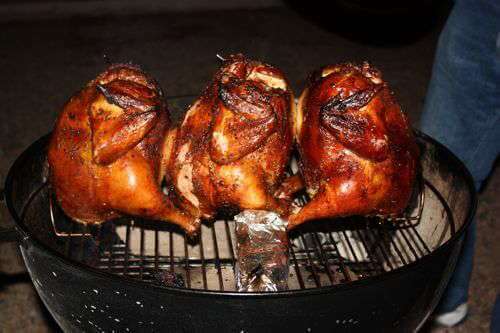 Smoked Poultry Recipes That Drip With Juicy Goodness! Whether smoking turkeys, chicken or game hens, one of these smoked poultry recipes will help you get the results you want. Many of these recipes are cooked at a higher than normal smoker temperature, so if you're in a hurry, poultry is a good choice. The chicken breasts in the picture you see above were smoked in my Char Broil propane smoker. After brining, they were seasoned with a dry rub containing black pepper, thyme and oregano. Pecan wood chips provided smoke, flavor and that beautiful bronze color. 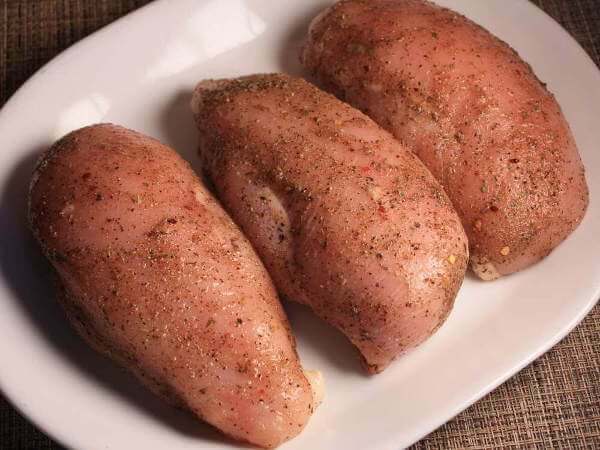 Boneless, skinless chicken breasts are one of my favorites for the smoker. Minimal prep time and quick cooking allow you to make a great, smoked main course in an afternoon. Before you fire up the smoker, I’ll share a few nuggets of knowledge that will help you create the best smoked poultry ever. A brine of salt, sugar, seasonings and water can do wonders with chickens, turkeys and other birds. When brining, liquid is absorbed into the flesh, adding moisture, flavor, and improving the texture. The absorbed water also conducts heat, so the plumped up bird will smoke faster. While all poultry parts are safely done at 165° F, it can be challenging to smoke turkey and chickens because different parts of the bird might cook at different speeds. Foil placed over the breast partway through smoking will slow its cooking a bit so that the breast and thigh are done at the same time. Remove the bird from the smoker when the temperatures at the main thigh joint and the breast reach 165°. 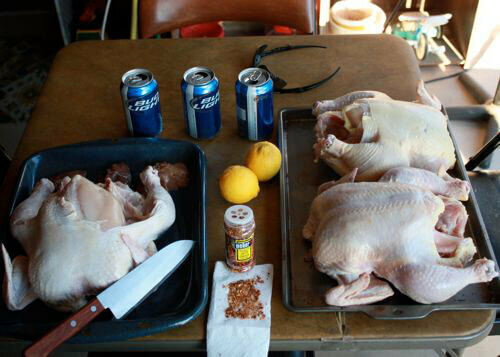 For the best flavor, use dry rubs on both the outside of the skin, and between the skin and flesh of the bird. This gets the seasoning flavor right where it's needed. 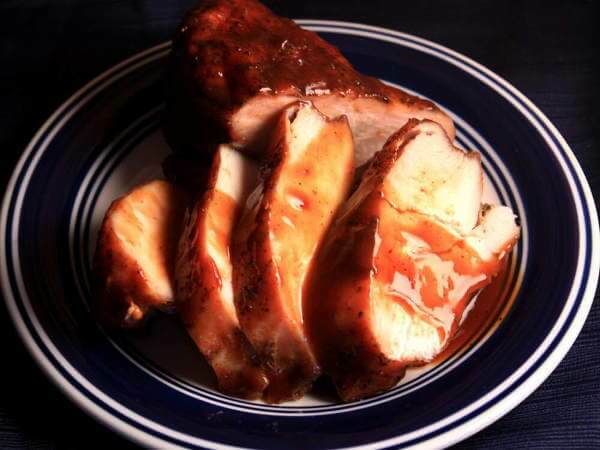 Here are a few of my favorite smoker recipes for chicken, turkey and Cornish game hens. Hunters will find recipes for geese, ducks and quail. 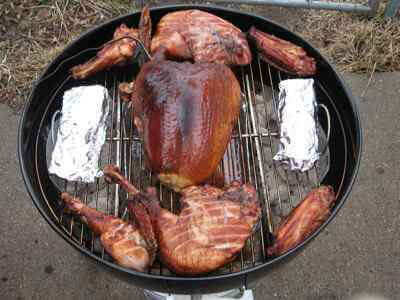 And remember... smoked turkey is not just for Thanksgiving. 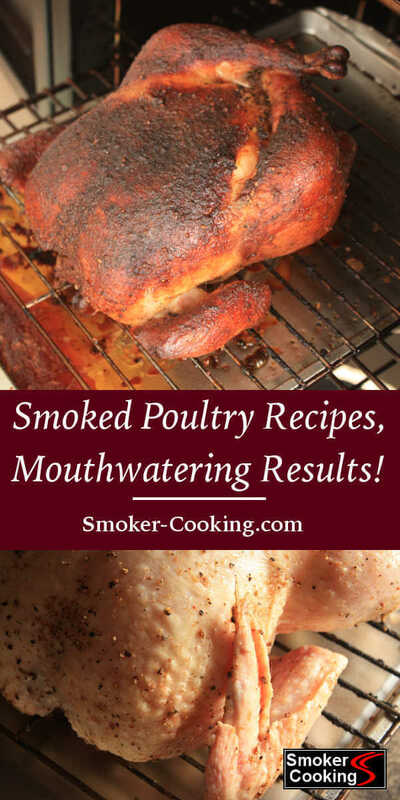 Poultry smokes in less time than beef or pork, and makes for a nice change of pace. 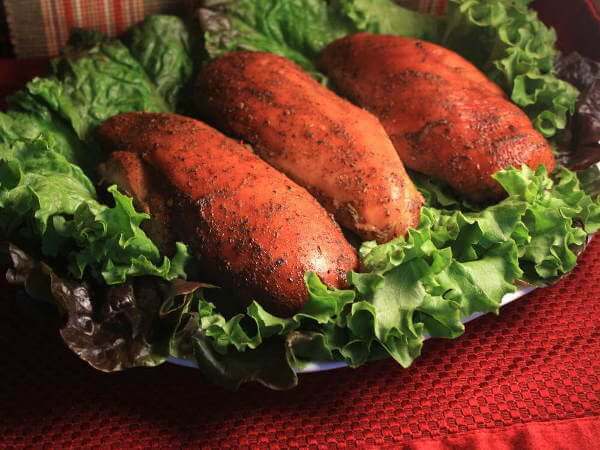 Try one of these smoked poultry recipes instead of the usual spareribs or brisket next time you pull out the smoker... you'll enjoy it, I'm sure!